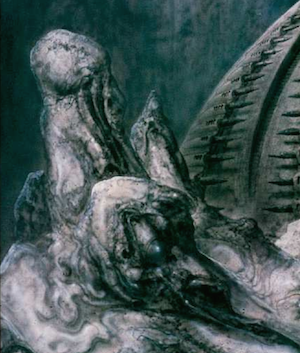 On the other side, there are reliefs and a statue of the Cthulhu that are described but can only be said to be a representation such as the statuette based on people's dreams. 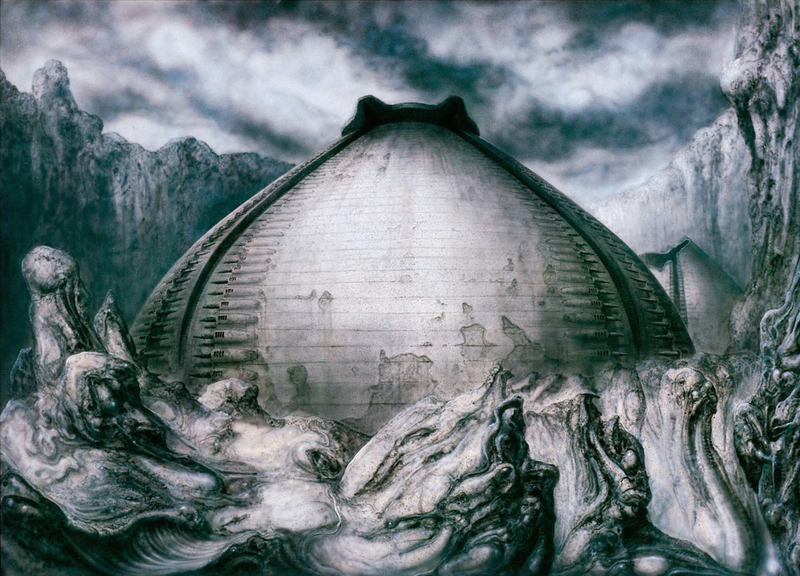 They bore both similarities and slight differences and searching through the descriptions of these different representations in itself leaves one scratching ones head with uncertainty. But H.P. 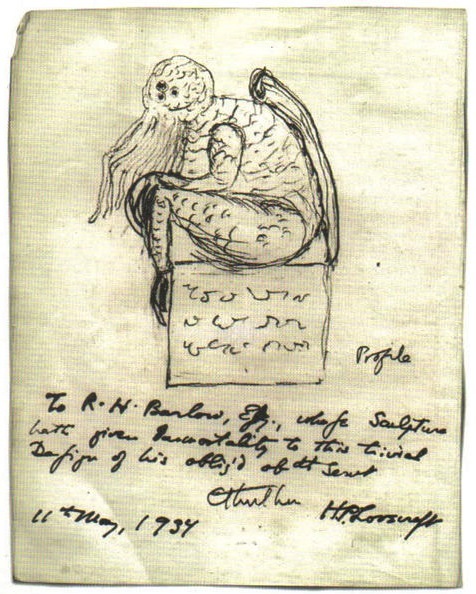 Lovecraft himself had drawn a couple of rather comical sketches of these types of representation with multiple black eyes. In the story another figure found in New Orleans, it was between seven and eight inches in height and exquisite in workmanship, carved from soapy greenish-black stone with golden or iridescent flecks and striations that unrecognisable in the geology or mineralogy field. Again this figure had a vaguely anthropoid outline, but with bent forwards octopus-like head whose face was a mass of feelers, and the ends of the facial feelers brushed the backs of the huge fore paws with prodigious claws which clasped the crouching figures elevated knees of its doubled up crouching legs that gripped the front edge of the seat and extended a quarter of the way toward the bottom of the block or pedastal covered in undecipherable symbols, upon which its bloated body sat. Extending from its back were long wings, and the tips of the wings touched the back edge of the block. 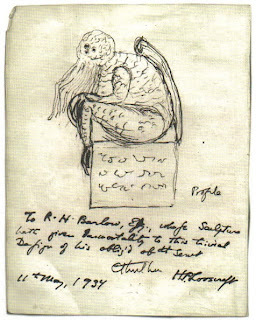 This statue was found in a small carved shrine of common pattern aboard the Alert yacht by one of the crew of the Emma schooner, and the statue later took up resident in a museum at Hyde Park, described as having a cuttlefish head, a dragon body, scaly wings and a hieroglyphed pedestal, again made from an unearthly material, slightly larger than the one found in New Orleans. On a door on the island of R'lyeh, there's a carving showing the familiar form of a squid dragon.